Experienced wire bonding assistance. Serving the South-Eastern Michigan community’s technical Prototype interconnection needs. 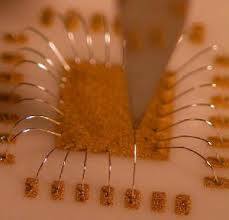 Consulting on micro-electronic packaging concerns and issues. For meetings, we do not have space in the driveway, but street parking is usually available nearby. For more info, please contact Brendan Casey, or 734-619-0737.